No problems with double dipping here. Baby Munchable Dippers are the newest brainchild from our snack aficionados. They thought, why not take delicious foodie flavored dips and pair them with our equally delectable rice wafers for a one-two punch of flavors? Voila! Another perfectly tasty treat is born, that will turn little frowns upside down, from the snack experts at Nosh. *When is Baby ready for Dippers? 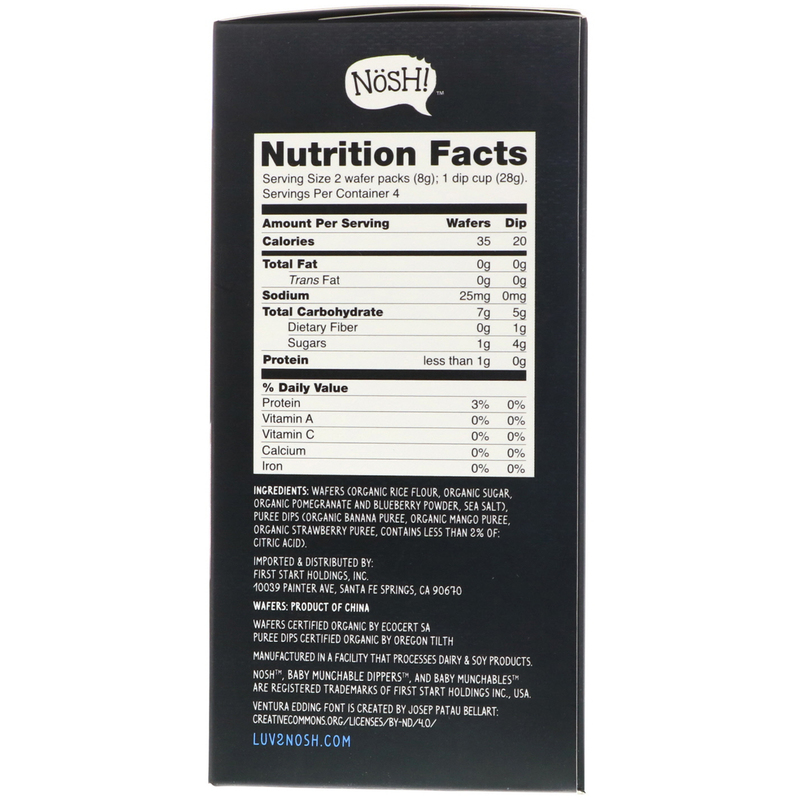 At Nosh we believe in giving only the best to your baby. We collaborate with Want Want Group, the best bakers with over 30 years of experience making rice snacks for 23 countries around the world. This product is proudly made with premium non-GMO1 Japonica rice with absolutely no artificial colors or flavorings. 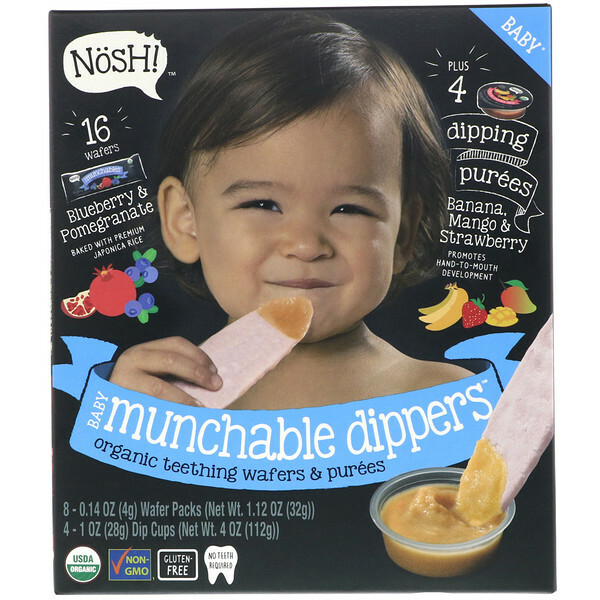 Always baked, never fried, and made without the eight common allegens2, Baby Munchables is the perfect first snack for a teething baby. Our delectable dips are made from organic fruit purees. Created through a special blending process to seal in the flavors, we have that perfect snack combo for your little foodies in the making. Obleas (harina de arroz orgánico, azúcar orgánica, granada orgánica y polvo de arándanos, sal marina), salsas de puré (puré de plátano orgánico, puré de mango orgánico, puré de fresa orgánica, contiene menos del 2% de: ácido cítrico). Fabricado en una instalación que procesa productos lácteos y soja.